Introduction: Aloe vera (Av), a succulent of Liliaceae family is now a widely used medicinal plant. Its' application covers a wide spectrum of human diseases, including oral mucosa, gastric mucosa and skin. Aloe vera preparations in the form of gel, mouth washes and cream are applied topically for many oral diseases. The applications include oral lichen planus, candidiasis, oral submucous fibrosis, geographic tongue, etc. Aims and Objectives: To evaluate the cytotoxicity of Av on human fibroblasts. Materials and Methods: Aloe vera preparation (70%) was applied on the fibroblast cell lineage and the cell viability was evaluated by microculture tetrazolium technique (MTT) colorimetric assay. Results: The cell viability at different concentrations was measured. The cells have maintained their viability at different concentrations used in the study. Conclusion: Our study shows the cell viability at different sample concentrations of Av. This could open up wide clinical applications of Av for reactive, inflammatory and potentially malignant oral and other mucocutaneous diseases. Aims and Objectives: A randomized controlled study was carried out to evaluate the efficacy of lycopene in combination with vitamin E and selenium in the treatment of oral leukoplakia in patients visiting the Government Dental College and Hospital, Mumbai. Materials and Methods: Forty-one patients of leukoplakia were randomly categorized (irrespective of size and severity of the lesions) in two groups: Group A and B. Group A consisting of 21 patients were administered combination of lycopene (3 mg), vitamin E (200 I.U.) and selenium (100 mcg) twice daily and group B consisting of 20 patients were given placebo capsules once daily for a period of 3 months. Post-treatment follow-up period was 3-4 months. The product used in the study was LYC-O-MATO soft gels, manufactured by Mano pharmaceuticals, Chennai, India. The treatment outcome was evaluated both clinically and histologically and the results were statistically evaluated using Student's unpaired 't' test. Results: The results showed that the patients receiving lycopene in combination with vitamin E and selenium have statistically significant improvements both clinically and histologically as compared to those receiving placebo and with no side effects. Conclusion: The study results proved the efficacy and safety of lycopene along with selenium and vitamin E in the management of oral leukoplakia. Introduction: One of the important components responsible for the maintenance of cell integrity is lipids, which are also required for various biological functions like cell division and growth of normal and malignant tissues. It has been proposed that malignancies are associated with changes in lipid profile. Aims and Objectives: The purpose of this study was to evaluate the alterations in lipid profile in untreated patients of oral submucous fibrosis (OSF), leukoplakia, oral lichen planus (OLP) and control group. 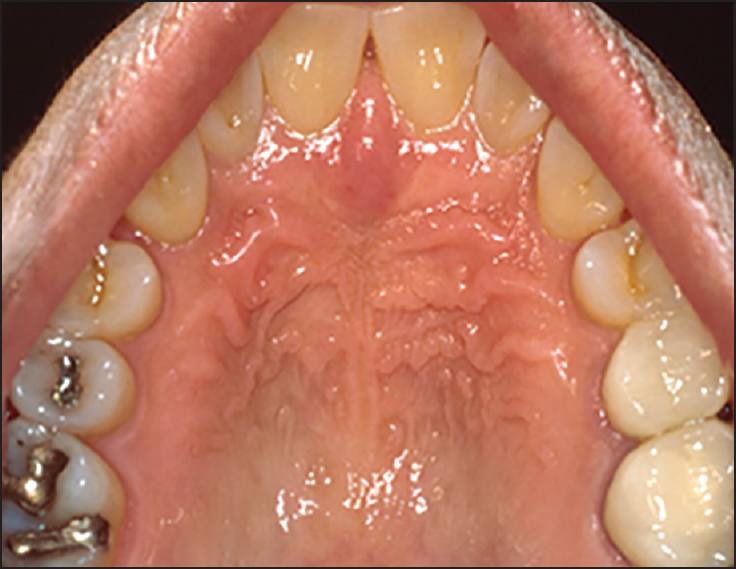 Materials and Methods: In this hospital-based study, 20 clinically diagnosed patients of OSF, 20 biopsy-proven cases of leukoplakia, 20 biopsy-proven cases of lichen planus and 20 subjects in the control groups were studied. In the samples collected, serum lipids including the following were analyzed: (i) serum cholesterol, (ii) serum triglyceride, (iii) low-density lipoprotein (LDL), (iv) high-density lipoprotein (HDL), and (v) very low-density lipoprotein (VLDL). Results: Serum lipid profile had inverse relationship with oral precancerous conditions/lesions. Serum triglycerides and VLDL levels showed significant reduction in patients with leukoplakia and lichen planus as compared with controls. No significant correlation of the lipid profile has been found in the OSF patients. Conclusion: The above findings strongly warrant a large sample size keeping in mind the types of lichen planus, leukoplakia staging and OSF staging, and their correlation with tobacco habits is required to make it effective as a prognostic tool in life-threatening conditions. Inroduction: Palmar dermatoglyphics has been studied in many diseases and alterations in normal patterns have been noted which is genetically determined. Millions of people consume tobacco, but all of them do not suffer from potentially malignant disorders (PMDs) of the oral cavity like oral submucous fibrosis (OSMF) and oral leukoplakia (OL), and oral squamous cell carcinoma (OSCC). It seems likely that a genetic predisposition could be an underlying mechanism. Aims and Objectives: The present study aims to compare the dermatoglyphic patterns of such patients, in patients without habits and in patients with habits but with no lesions. 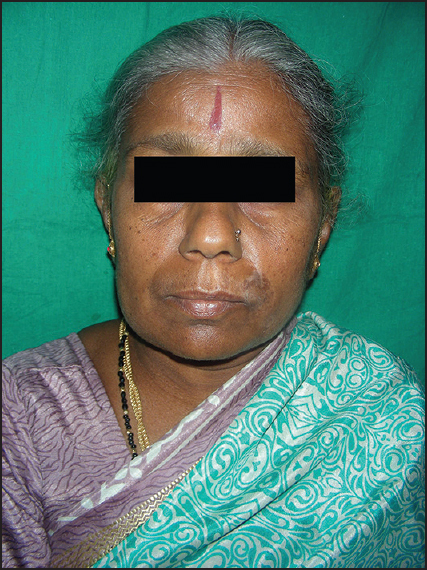 Materials and Methods: Fingerprints and palm prints were studied in 90 patients of Karnataka origin, who were randomly divided into three groups: (A) 30 subjects with OSMF, OL and OSCC, (B) 30 patients with habits and no lesions, and (C) 30 healthy controls, for the purpose of finding patterns that could identify patients with PMDs and OSCC. 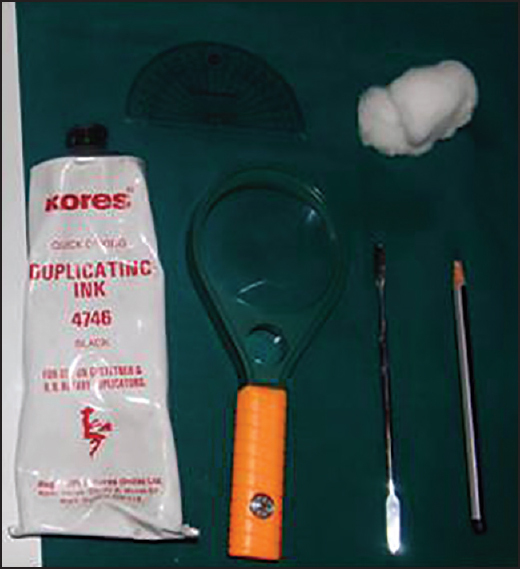 Finger and palm prints were taken by the ink method. Prints were analysed by two examiners and were repeated 1 month later. Results: The results were tested for statistical significance. Weighted kappa statistics were used to evaluate the inter- and intra-observer agreement. It was observed that the arch pattern (60.7%) was pre-dominant with a decrease in whorl pattern (29.3%) in group A when compared with the controls (group B and C) and the difference was highly significant (P < 0.01). The study group demonstrated an increase in the mean total finger ridge count as compared to the controls and the result was found to be highly significant (P < 0.02). The kappa-value for interobserver agreement was 0.675 and for intraobserver agreement it was 0.747. Conclusion: Dermatoglyphics can be implemented as a screening tool in patients with PMDs and OSCC. Thereby, we can identify patients at increased risk for oral cancer so that risk reduction measures or earlier therapy may be instituted. Aims and Objectives: To determine the prevalence of visible calcifications in soft tissues of the orofacial region in digital panoramic radiographs. 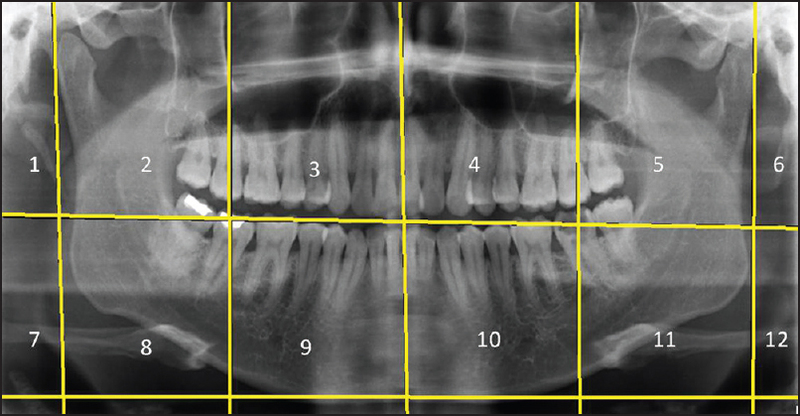 Materials and Methods: Panoramic radiographs of 1615 adult male and female dental outpatients who had visited the dental college for various dental treatments were scrutinized for calcifications. Soft tissue calcifications were recorded according to gender, age, and site. Results: Patients identified with soft tissue calcifications comprised 63.41% arteriosclerosis, 45.29% calcified atherosclerotic plaques, phlebolith in 11.7%, sialolith of submandibular salivary gland in 4.3%, calcified stylomandibular and stylohyoid ligament in 4.2%, tonsillolith in 3.2% and lymph node calcification in 2.1% of the radiographs. The association of presence of calcification with age was analyzed with the Chi-square test (P<0.05). Women showed an increased prevalence of soft tissue calcifications (P<0.001). Mean age of participants with calcification and without calcification was assessed (P<0.05) using Mann-Whitney U test. Conclusion: Carotid artery calcifications were found to be high among the soft tissue calcifications and women after menopause showed an increase in the carotid artery calcifications. Introduction: The imaging of the zygomatic arch is very important in the diagnosis and management of zygomatic arch fractures. It is accomplished by jug handle radiography (a variation of the submentovertex view) and sometimes with modifications like the tangential or tea cup projection. For these techniques, the patient has to be positioned in a way which makes it non-applicable in cases having cervical injuries or suspected cervical injuries. Aims and Objectives: To devise a new approach with which the image of the zygomatic arch can be obtained with normal head position, in either sitting or supine position, using a dental X-ray machine and an occlusal film, which can even be used in patients with cervical injuries or suspected cervical injuries, without any complications. Materials and Methods: The present approach requires a dental X-ray machine and an occlusal X-ray film thereby eliminating the need for additional equipment like a general X-ray machine and extraoral film cassette. This approach can be carried out in a conventional dental setup to rule out zygomatic arch fractures. Conclusion: This technique can be applied in patients having cervical injuries or suspected cervical injuries, thus overcoming the drawback of the jug handle view, and is easy to master. 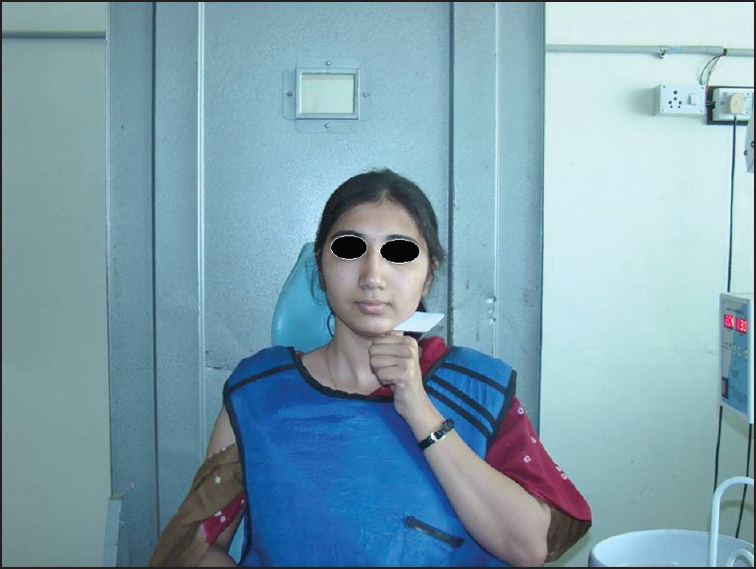 This technique can be used in a conventional dental setup and holds good with the ALARA (as low as reasonably achievable) principle of radiation protection and safety. Introduction: Human identification is an important field of study and research in forensic science and aims at establishing human identity. Several biological materials such as bone, hair, a biopsy sample, saliva and blood have been employed in isolation of DNA for human identification. It is possible to obtain DNA from virtually all human body tissues with variations in the quantity and quality of the DNA extracted from each tissue. Aims and Objectives: A study was carried out in our department to detect the presence of DNA from burnt teeth samples at various temperatures and to highlight the importance of DNA obtained from tooth in identifying a deceased in fire accidents. Materials and Methods: The work included 13 extracted teeth of patients who were indicated for therapeutic extraction and those who were diagnosed clinically and radiographically with caries and periodontitis who were indicated for extraction. Out of the 13 extracted teeth, two were decayed (One had class I dental caries C 1 and the other was grossly decayed C 2 ), four were periodontally compromised teeth and the other seven were therapeutically extracted. The freshly extracted teeth were immediately subjected to varying temperatures, from 100°C to 800°C using a Delta burnout furnace for 15-20 minutes. They were cryogenically crushed using a mortar and pestle to make samples of the tooth, which were analysed for DNA. 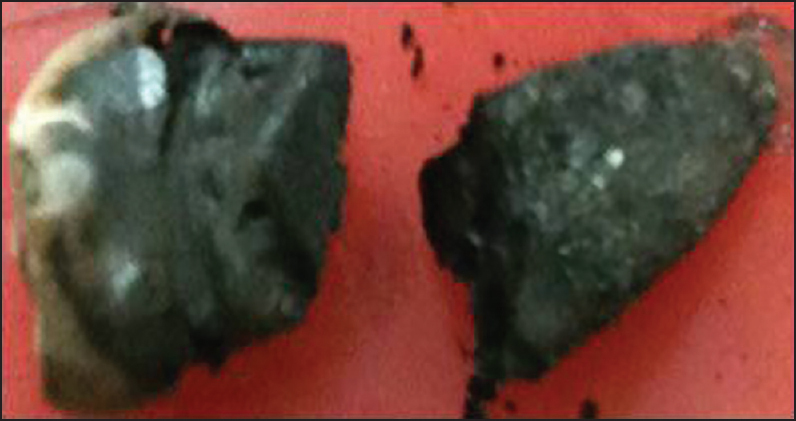 Results: When teeth were incinerated from 100°C-800°C, genomic DNA was obtained only between 100°C and 300°C whereas it was not obtained above this temperature. When the teeth were incinerated from 300°C to 800°C mtDNA was extracted from 300°C to 700°C, but no DNA was obtained above 700°C. Conclusion: Teeth are good sources for DNA, even in cases where the specimens are highly decomposed. Introduction: The evolving state of art digital technology currently available is opening new avenues in forensic odontology for age estimation methods which are subject to debate in terms of accuracy and precision. 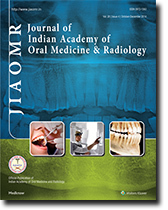 A study was carried to analyze efficacy and practical application for age estimation using digital panoramic radiographs on South Indian population. Aims and Objectives: 1. To study reduction of coronal pulp chamber using Tooth Coronal Index (TCI) on panoramic radiographs and correlate with chronologic age. 2. To establish accuracy of digital panoramic radiographs as a simple, non-invasive tool. Materials and Methods: The study illustrates the potential value of a little known aging method. The study groups comprised a total of 100 subjects of both sexes in age range of 20 and 60 years each who were subjected to panoramic radiography. A panoramic radiographic examination using digital panoramic machine was conducted on selected individuals. The TCI was calibrated using AGFA computer software for accuracy and precision. The values obtained were subjected to regression analysis, results calculated and correlated with chronologic age. In the present study a population of known age was studied and subjected to digital panoramic radiographic examination. The correlation between reduction of coronal pulp cavity and chronological age was examined. TCI was computed for each tooth and regressed on real age. Statistical Analysis Used: Pearson correlation co-efficient was used to find the significance of relationship between age and TCI. Regression analysis has been used for predicting age using TCI for premolar and molar. Inaccuracy and bias have been determined to assess the precision of prediction equations. Results and Conclusion: Prediction potential of TCI comes down for ages above 50 years and is comfortably good below 50 years without much difference between premolars and molars. This study demonstrates the potential value of TCI for age estimation. Introduction: Palatoscopy is the study of palatal rugae pattern and it can be used to establish the identity of a person. The rugae are unique internal structures protected by the lips, buccal pad of fat and teeth that resist decomposition, thus serving an important role in forensic identification. The appearance of palatal rugae is constant, as they do not demonstrate changes after the completion of growth of the individual, thus increasing its utility as a personal identification tool. Aims and Objectives: To study the prevalence of different palatal rugae patterns in a sample of Lucknow, India population. Materials and Methods: The study comprised 100 healthy (50 males and 50 females) subjects of age between 18 and 40 years, who were randomly selected. In this study we used the classification of rugae patterns suggested by Kapali et al. (straight, curved, wavy andcircular), and Thomas and Kotze (unification and nonspecific). Results: The mean rugae number in females was slightly more than males. The most prevalent forms in both genders were curved type followed by wavy, straight and diverging types. Straight and curved forms were significantly more in numbers in females than males. Conclusion: This is a preliminary study on a localized Indian population. Scope still exists for further studies to determine gender as well as personal identification. We believe that rugae can be used as a reliable guide in forensic identification. Introduction: The greatest burden of oral diseases is on the disadvantaged and socially marginalized populations. In developing countries like India, the availability and accessibility of oral health services in rural areas are limited, and the provision of oral health care is also very limited. Aims and Objectives: To assess the factors affecting the utilization of oral health services among the rural population of western Rajasthan, India. Materials and Methods: A structured self-administered questionnaire was employed as the instrument for data collection. Study was carried out for a period of 1 year in the rural areas of western Rajasthan, India. A total of 5476 people were selected. The questionnaire was explained to all the participants before the distribution, and the participants returned questionnaires after it was completed. Results: Among the total study group of 5476 subjects, 3934 were males and 1542 females. The study group was divided into five equal age groups from 20 to 60 years and above. It was found that 31.57% were illiterate and only 1.53% were graduates. One thousand, four hundred and thirty-six participants (26.22%) stated that cost of dental treatment was the major factor, followed by 1386 (25.31%) who believed in myths associated with dental treatment. Conclusion: Utilization of oral health services among the rural population has been found to be influenced by socio-demographic factors. Improving access to oral health care is a critical and very important first step to improving oral health outcomes and reducing disparities. Ultrasonography is one of the most common imaging modality used in dental as well as medical sciences. The use of ultrasonography when discovered was as a therapeutic aid, but in recent times, it has become one of the most common imaging modality next to conventional radiology. Currently, its use as a therapeutic aid has been rediscovered along with its association with other specialized imaging. 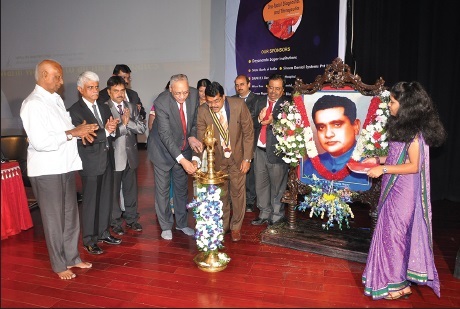 The aim of this paper is to highlight such advancements in the field of ultrasonography. Orofacial pain disorders involve a variety of postural and functional disorders of the oral and craniofacial system. These disorders are multifactorial with muscular pain being the most common manifestation. Orofacial pain can interfere with the emotional, psychological and social well-being of the patient which in turn can affect the quality of life. Physiotherapy is a primary health care profession aimed at enhancing mobility, physical independence and quality of life. The purpose of this review is to provide an insight in to the role of physiotherapy in managing orofacial pain conditions. Using the phrase 'physiotherapy in orofacial conditions' a literature search was conducted via Pubmed, Copernicus, Scopus database and Google scholar. The first reported article in Pubmed was published in 1990 and the recently reported article was in 2014. For this systematic review, seven articles from Pubmed, two from Copernicus, two from Google Scholar, and one from Scopus database were included. Obstructive conditions of the salivary glands are common and may necessitate imaging of the gland for the purpose of diagnosis and management. 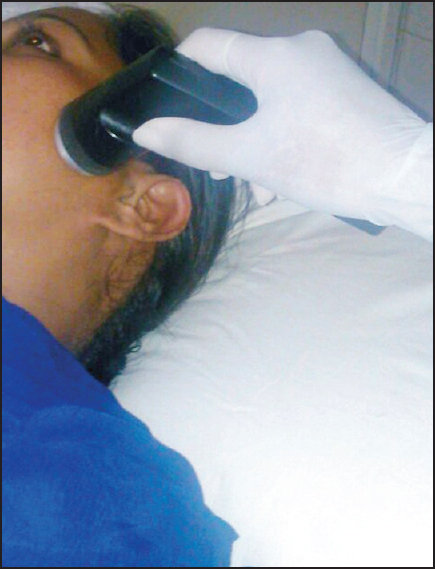 Sialography is considered the gold standard for examining obstructive conditions of the parotid and submandibular glands but is largely influenced by the imaging technique to which it is coupled. The aim of this paper is to discuss the importance of cone beam computed sialography imaging which is a relatively new and very promising imaging modality in the detection of radiolucent sialoliths and to report a case of detection of radiolucent parotid sialoliths using cone beam computed sialography. Craniometaphyseal dysplasia (CMD) is a very rare bone disorder of unknown etiology. It is characterized by sclerosis of the skull, craniofacial bones and even extremities. Although the exact etiology has not been understood, it is thought to be due to a mutation in the human ankylosis gene, ANKH. Here we report a case of a young male patient with extensive bony involvement. 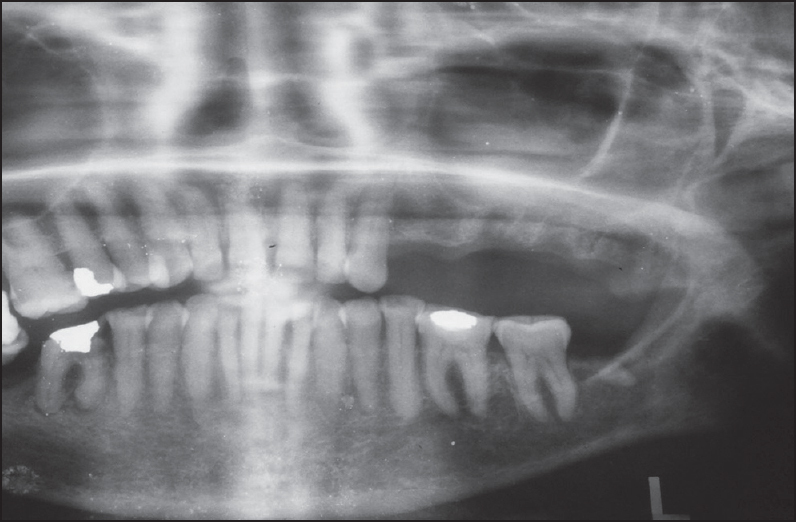 Radiographic examinations showed increased radiopacities of the maxilla and mandibular bones due to hyperostosis and sclerosis, and needed a detailed workup of bone dysplasias which made it a rare presentation for documentation. Anaplastic large cell lymphoma (ALCL) is a distinct clinicopathological entity of non-Hodgkin's lymphoma, which has been included as a T-cell neoplasm in the World Health Organization classification, with peculiar features such as painless lymphadenopathy, swelling of extranodal and endoreticular organs, intraoral swellings, and characteristic hallmark cells (eccentric, kidney-shaped, or horseshoe-shaped nuclei) and cluster of differentiation 30 (CD30) positivity. Thorough clinical, biochemical, immunohistochemical, histopathological, and radiological evaluation aids in accurate diagnosis and management of the disease. Here, we report a case of anaplastic lymphoma kinase positive variant of ALCL in a 13-year-old boy. Syphilis is an infectious disease presenting different stages each of which are associated with specific oral lesions. 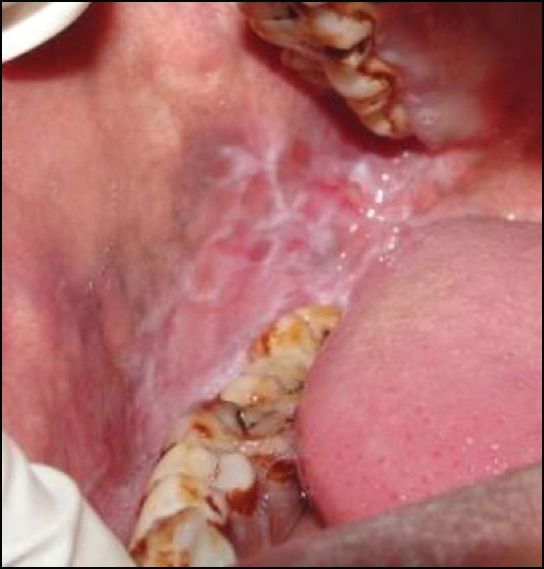 Oral lesions in secondary stage syphilis are particularly common in association with general symptoms and cutaneous eruptions. However, an exclusive oral localization, not associated with general manifestations, is uncommon. 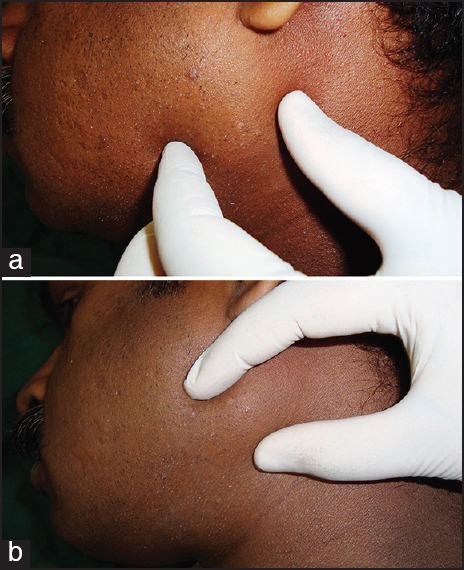 We report a case of a 27-year-old male patient with isolated oral ulceration as the sole presentation of secondary syphilis. When compared to pyogenic infections and neoplastic diseases involving the mandible, tuberculous osteomyelitis of the mandible is extremely rare. Hereby, we are reporting such a type of case in a 15-year-old male, who presented with a draining sinus over the right mandible since 3 months which later proved to be tuberculous osteomyelitis in absence of a primary focus and which responded well to anti-tubercular treatment. Myiasis is derived from a Latin word "Muia," which means fly and "iasis," which means disease. It is a pathological condition in which there is an infestation of living mammals with the dipterous larvae, which, at least for a certain period feed on the host's dead or living tissue and develop as parasites. Oral myiasis is a rare pathology in humans and is associated with poor oral hygiene, alcoholism, senility, suppurating lesions, severe halitosis, malignancy, low socioeconomic status and others conditions. The treatment consists of mechanical removal of the maggot one by one along with a systemic treatment of ivermectin, a semi-synthetic macrolide antibiotic. 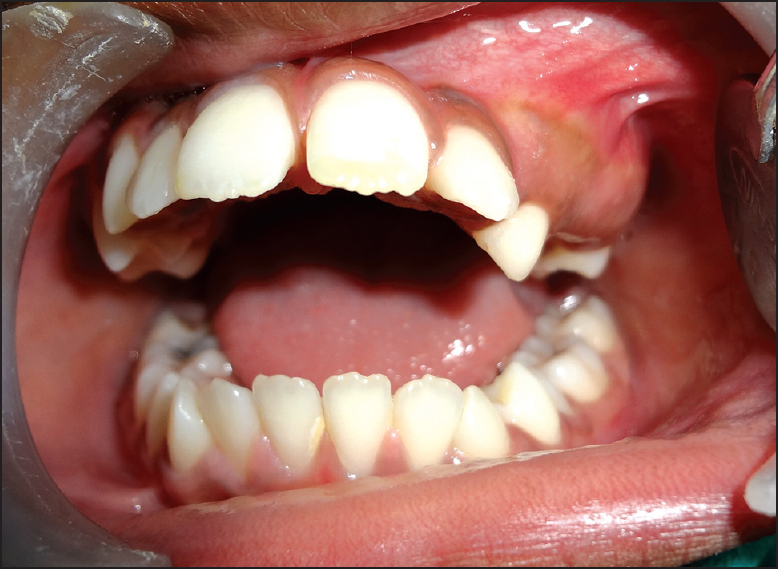 We present a case report of a 25-year-old man with intellectual disability, poor oral hygiene, epilepsy, with a deep lacerated wound in the gingiva of maxillary anterior region with acute swelling of the upper lip and presence of larvae of maggot. Diagnosing solitary oral ulcers are always a challenging task which requires a through history taking, clinical examination and charting out clear differential diagnosis. Many solitary oral ulcers appear quite similar and may pose a challenge to the diagnostician; however, early diagnosis of such lesions enables to initiate the treatment at an early stage. In this paper, a case of oral histoplasmosis involving the palate along with the differential diagnosis is reported wherein the history of close association of the patient with birds clinched the diagnosis, thus emphasizing the importance of minute aspects of history taking. Pleomorphic adenoma, also called benign mixed tumor, is the most common tumor of the salivary glands. Usually they are found as solitary, unilateral, firm and mobile, painless, slow growing masses. Only 10% of them occur in the minor salivary glands and 90% of them occur in the parotid gland. The incidence of parotid tumor is about 2.4 in 100000/year of all neoplasia of head and neck region, the right side being commonly involved and seen more often in males. Management involves surgical resection by superficial or total parotidectomy. This case report illustrates clinical features, imaging characteristics and histopathological features in a case of pleomorphic adenoma. Multiple myeloma is a systemic B-cell lymphoproliferative disease that causes osteolytic lesions in the vertebra, ribs, pelvic bone, skull and jaw. Rarely jaw lesions are seen as the first sign in multiple myeloma. 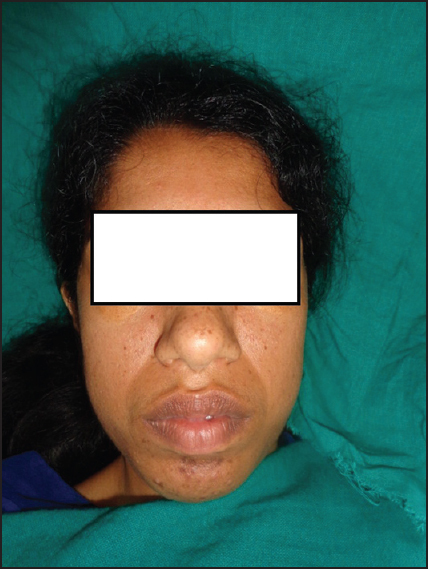 This is a case report with follow up of a 57-year-old female patient, previously treated for osteoporosis, who presented with a swelling of the jaw. On radiographic examination, she was found to have osteolytic lesions in the mandible and skull bones. These conventional aids led to the diagnosis of multiple myeloma thereby proving that the osteoporotic lesions were a part of the spectrum of multiple myeloma. The patient underwent chemotherapy and is currently on follow-up. This case report emphasizes the importance of early diagnosis of multiple myeloma in the jaw using readily available technologies and illustrates the contribution that oral assessment can provide. 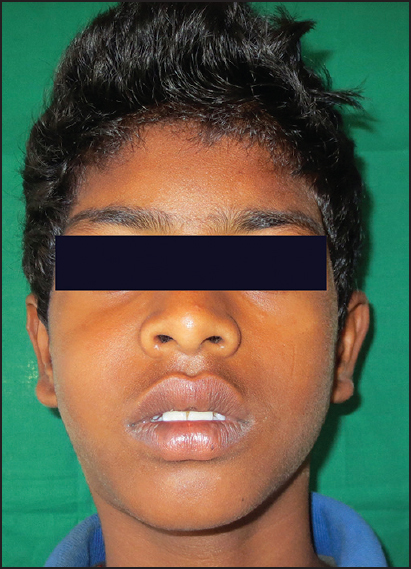 Cherubism is a rare non-neoplastic fibro-osseous disorder characterized by clinically evident bilateral painless enlargement of the jaws that usually gives a cherubic appearance. 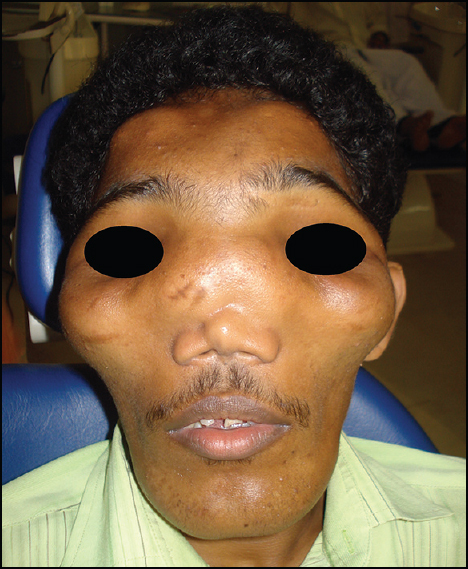 Major complications may occur along with the presence of facial deformities. 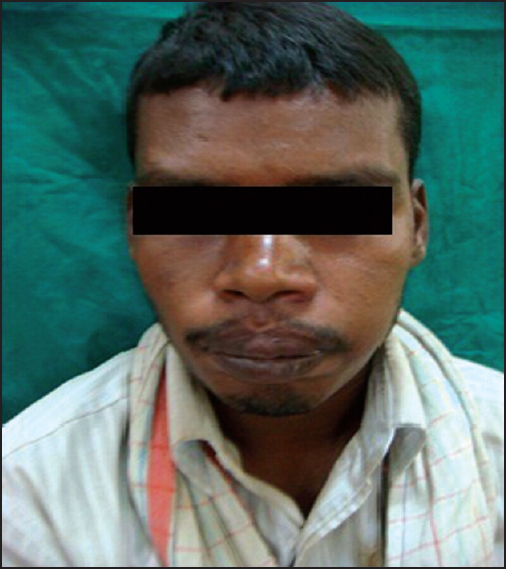 The facial deformities may frequently be associated with dental malformations. 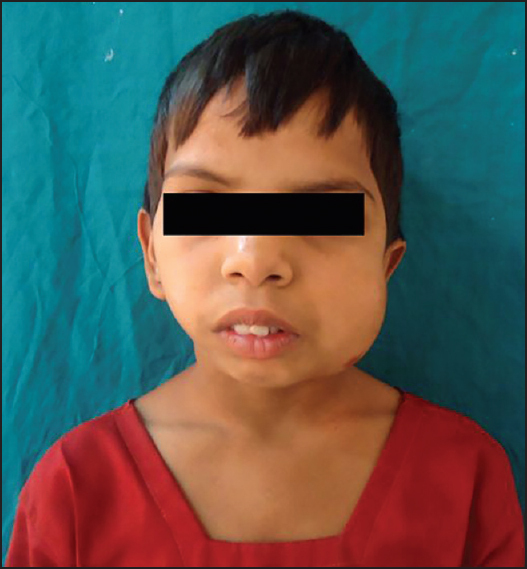 Bilateral swelling of the jaws usually appears between the age of 2 and 7 years, after which, the lesions proliferate and increase in size until puberty. These lesions subsequently begin to regress, fill with bone and remodel until the age of 30 years. Following this, the lesions frequently become undetectable clinically, due to which, many affected adults have a normal facial appearance. Here, we report a case of a 22-year-old female patient suffering from cherub-like appearance with regressed features. The odontoma is a benign tumor containing all the various component tissues of the teeth. It is the most common odontogenic tumor representing 67% of all odontogenic tumors. Odontomas are considered to be developmental anomalies (hamartomas) rather than true neoplasms. Based on the degree of morphodifferentiation or on the basis of their resemblance to normal teeth, they are divided into compound and complex odontomas. The compound odontoma is composed of multiple, small tooth-like structures. The complex odontoma consists of a conglomerate mass of enamel and dentin, which bears no anatomic resemblance to a tooth. They are usually diagnosed on routine radiological examinations in the second decade of life and are often slow growing and non-aggressive in nature. 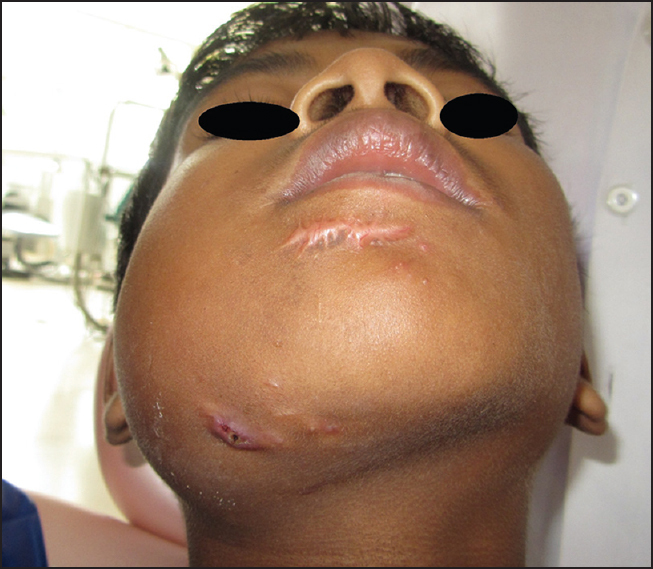 Here, we report a case of rare, unusually large, compound-complex odontoma, located in the left anterior maxilla of a 13-year-old male patient. The new millennium has witnessed a sea change in diagnostic imaging sciences and the unfortunate 'tilt' toward 'over imaging' and 'over relying' on modern imaging needs to be relooked. This case report emphasizes the need to strengthen conventional diagnostic skills/acumen and the importance of case history taking in all its grandeur as a part of comprehensive patient work up. In this case report of a 7-year-old child, the entire prognosis and treatment outcome was fortuitous since the imaging findings and suspected diagnosis on magnetic resonance imaging were relegated to the findings of history and clinical examination. Oral lichen planus (OLP) is a chronic inflammatory mucocutaneous disease that frequently involves the oral mucosa. The authors report a long-term follow-up of a case which presented clinically as lichen planus with apparently benign features but histologically exhibited features of early invasive squamous cell carcinoma. Although a common lesion, the matter concerning malignant potential of OLP and its differentiation from lichenoid reaction still remains unresolved. There is no universally accepted, documented, and approved modality of treatment to prevent the occurrence of cancer development and also literature search reveals no standard methods which can predict cancer development of potentially malignant disorders. Hence every reported case should be well documented. This case report emphasizes the need for histological confirmation, with continuous monitoring 3-6 times annually of clinical lesions that have lichenoid features.